Are you able to fill those missing numbers? I’m pretty sure that around 95% of you will do it with ease and rest 5% may get confused but eventually, they’ll guess the right alphabets missing. Because those are the names of some of the well-known brands around the globe. Even if you live under a stone and never used them, you’d still have heard about them from your friends or family. But there’s one thing which makes these brand stick in your mind. Your brand name matters (a lot). It will represent your organization and how others remember it, pronounce it, and search it will depend on your brand name. A good brand name gives you an edge over other competitors as customers are more likely to remember your business name and visit again. Here are a few important things to consider while choosing a business name. Although you may not be able to register a 3 letter domain, you can still buy a 6-7 letter without difficulty. Short domain names are easy to remember and search. For instance, domain names like GoDaddy and BlueHost are easier enough to remember and type. On the flip side, if you name your hosting business BestSharedWebHostingToday, it will look silly – plain stupid. There was this time when everyone just wanted to add a ‘ly’, ‘fy’ after a word. Results are Weebly, Shopify, domain names which are pretty common. Remember, trends come and go and you should not stick to one at any cost. Don’t be childish and add trending words in your domain which are guaranteed to get down in coming years. The same goes for the current or upcoming year. Do not have a brand name as FashionStudio2018. Adding K instead of C might do the work for you, but it is not the best way. Your users may get confused while pronouncing it or recommending to someone else. 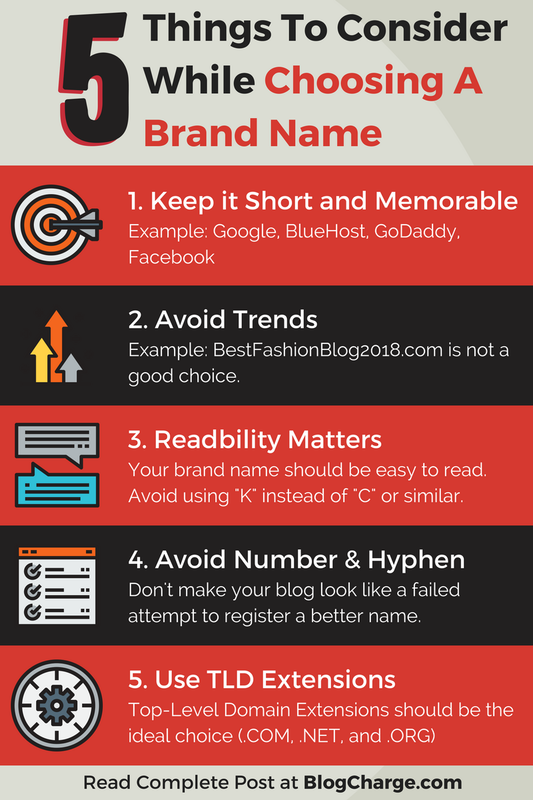 Try to keep your brand name readable and easy to pronounce. Goes without saying, a domain name with numbers or Hyphens looks childish and a failed attempt to register the original version. There’s nothing wrong with country-specific extensions or latest extensions available. But, I would suggest you avoid them and stick to Top Level Domain extensions which are .com, .net, and .org as they are considered standard all over the globe. They also make it easier for readers to trust your site. My preference is com > net > org > any other extension. So, now you know what to add and what not, and it will be a matter of seconds to find your dream name? I wish it was true. It’ll take even more time as we have already eliminated the silly options that you would have chosen earlier. Unfortunately, today it’s not easy to register an amazing brand name without paying a huge sum of money. 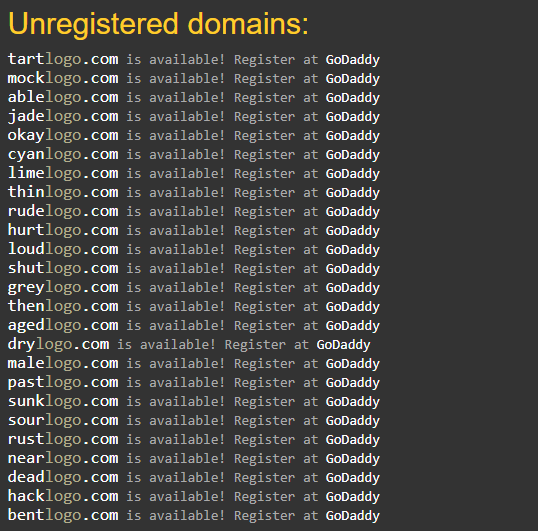 All of the single word domains are already registered and the ones you like are also most likely taken. With a limited verbal capacity of yours (considering you aren’t NY Times #1 bestseller), it becomes cumbersome to find an available brandable domain name. But fortunately, there are some domain name generator tools to make your life easier – a lot easier. 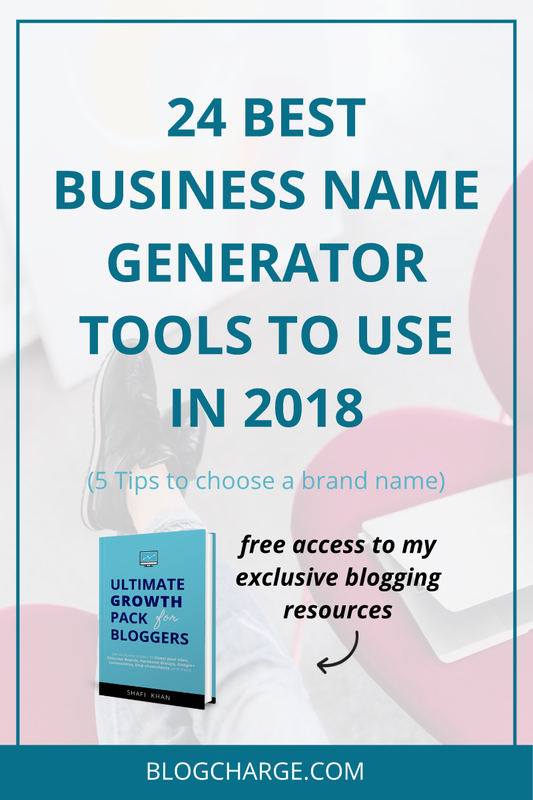 In this post, I’m sharing 24 amazing business name generator tools that’ll spill out at least one brandable business name which you can register. Each tool mentioned uses various algorithms and combination of words to look for available domain names that might be of your interests. 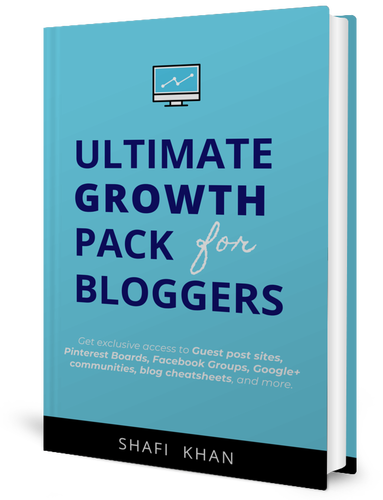 Before starting, I would suggest you make a list of keywords you want your brand to have, as most of these tools will require you to put a keyword. Run your keywords through all these tools and pick at least 5 domain name you like. Then ask for a suggestion from your friends or run a poll on social media to finally settle down on the final brand name. NameMesh is probably the most popular business name generator due to its dynamic features. Unlike other tools in the list, NameMesh doesn’t simply add the input keyword to the pre-specified keyword list. It uses algorithms to find an available domain name considering different factors such as SEO, Mix, Short, Similar, etc. You may need to try multiple keywords before you find a suitable brand name, but eventually, it will give you a good result. Dot-o-Mater may not be as advanced as Name Mesh but is definitely worth mentioning when it comes to Business Name Generators. It helps you find two-word domain names by combining keywords in beginning tab with the keywords in ending tab. You can either type your own keywords list or choose from given name lists. Suppose you’re looking for a business name for Tech site, then you will choose ‘Tech’ list in the first tab and ‘Expert’ list in the second. 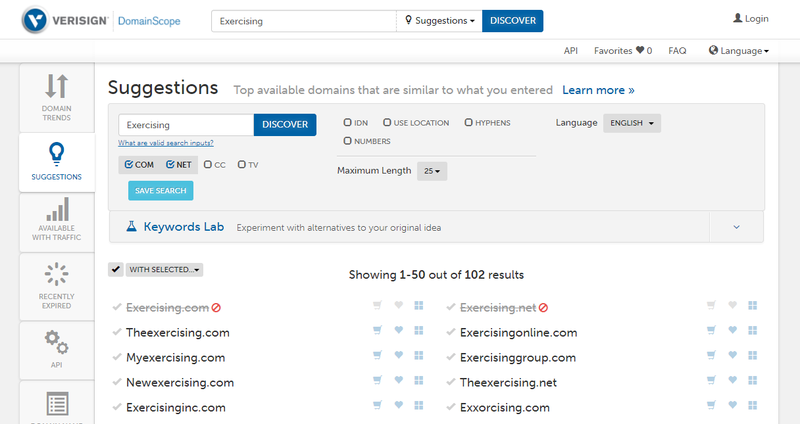 Click on Combine, and the tool will pop out a list of available domain names with .com extension. If you like a name click on it and add it to the ‘Scratch Box’ which you can register with any domain registrar. I personally use and recommend NameCheap. Lean Domain Search is a simple business name generator that searches for available domain names based on the keyword you enter. On the homepage, you get a single option to input your keyword or choose from the examples given below. 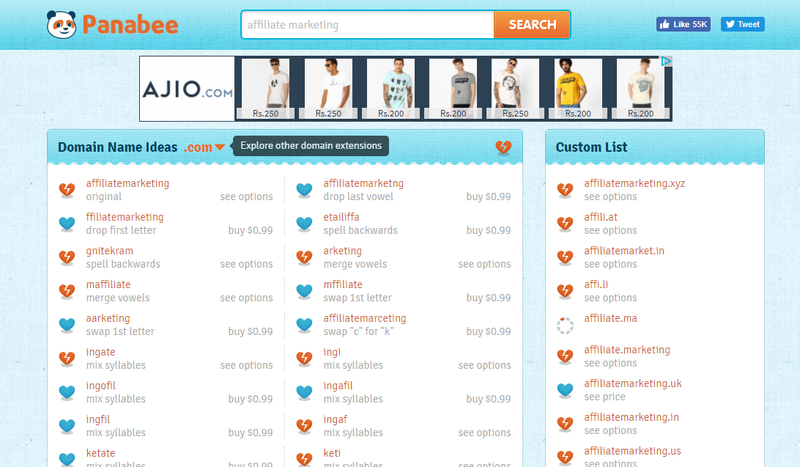 Once you hit enter, it will provide you a list of all available domain names (mostly 2-word). You have few options to sort the result or decide the position of input keyword. Shopify is a well-known e-commerce platform provider and it generally caters to businesses only. With Shopify Business Name Generator you can find some interesting business-oriented brand names. You are required to input a targeted keyword and the tool will suggest a list of 2-3 words available domains in multiple extensions. Unfortunately, I didn’t find any option to choose required extensions or any such control options. 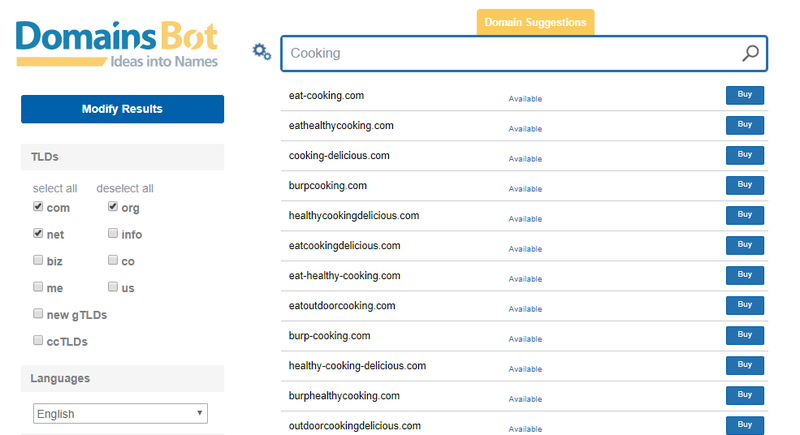 Bust A Name is another great business name generator that works by adding multiple related keywords and searching for available domain names. You’re required to input your desired keyword and ‘add’ for the tool to combine and search. 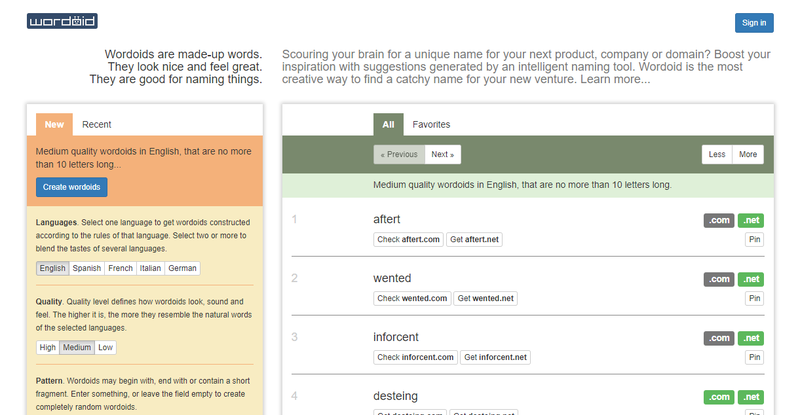 It allows you to find related word suggestions to get better names. Moreover, you can also try to add some prefixes, domain extensions, or 3-word combine options given at the end of the page. You can shortlist the best business names by hitting ‘>>’ button next to suggested domain names. Panabee is the coolest domain name generator in the list. Instead of adding multiple words, it plays with your input keyword and lists out available domain names. End results may sometimes turn into unreadable names but there’s a high chance you’ll find a short and cool business name with this tool. It works best when you input 2-3 words or your business idea. Results with a broken heart are already taken and blue ones are up for registration. 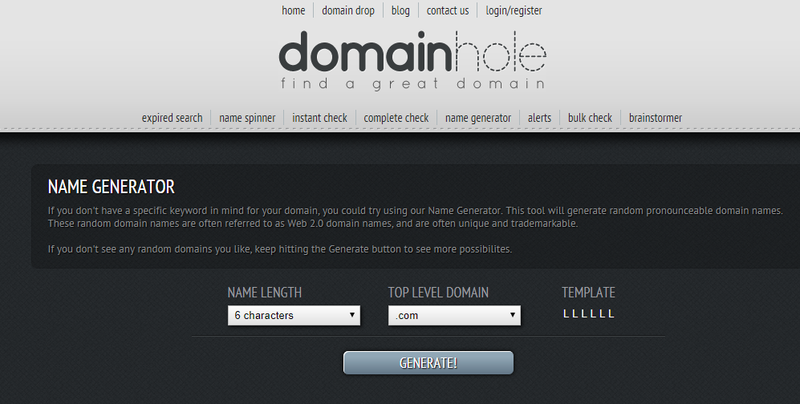 DomainHole is simplest to use domain name generator. It does not have any options to input keyword or choose a niche, it works on the length of the domain name only. You have the option to choose the number of letters in the domain name, and it will generate some random available .com domain names. Not a NameCheap but sometimes you can find short domain names with good meaning. Another pretty little tool to help you find a unique business name. Nameboy asks for two input keywords and searches available domain names based on the input. Available domain names are marked as green while domain already taken are marked red. It checks for .com, .net, .org, and .info for every suggestion and also finds out if any domain is on sale. 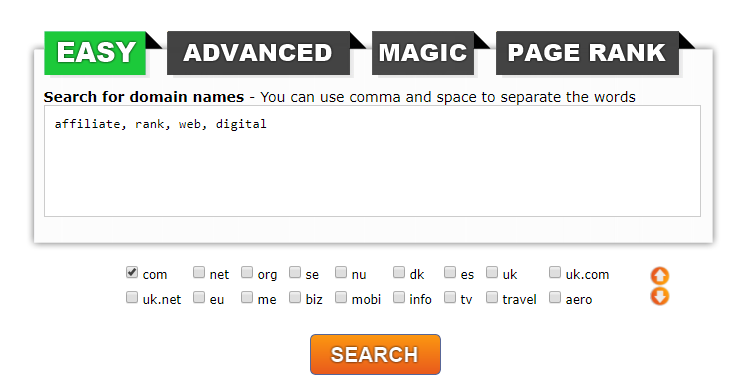 Domain Puzzler has three different domain name generator tools namely Easy, Advanced, and Magic. 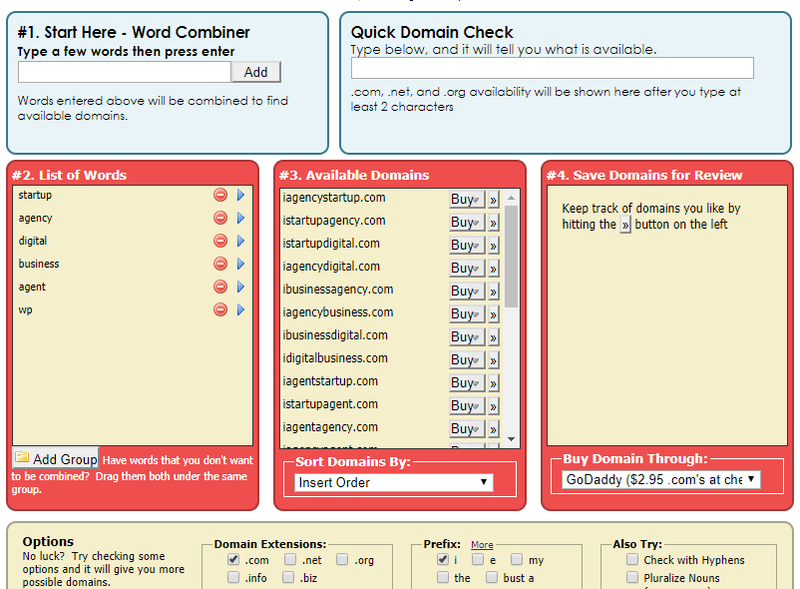 In each case, you add few keywords separated by comma and space and the tool will suggest you available domain names. Apart from it, you can also choose what extensions you want your business name. There’s also an option to find PageRank of a root domain which basically is of no use since Google already scraped PageRank and it is no more a ranking factor, as discussed by SearchEngineWatch. NameStall has a massive list of words to combine your input keyword. Working is simple, you enter your target keyword in the first input box, choose a ‘Word Group’ to be combined, and to decide the position of the keyword. You also get to choose if you want hyphen to be included and what domain extensions should be checked. The results are good and with the help of massive dictionary words, you will easily find readable brand names best suited for your business. DomainsBot is again a simple tool that works by simply combining input keyword with other dictionary words. There aren’t many options available and it doesn’t even generate related keywords. You can enter prefixes and suffixes manually to generate more domain names. One downside is that it mostly generate domain names with a hyphen and there’s no option to avoid it. Impossibility! claims to be the best domain name generator and up to a certain extent, it is. It has options available to select 4,5, and 6 letters Verbs, Adjectives, and Nouns whether before or after your input keyword. The end results are amazing considering their readability and most of them will perfectly suit your business. Also, it suggests only available domain names. The results are some great domain names but unfortunately, it doesn’t show if they’re available or not. 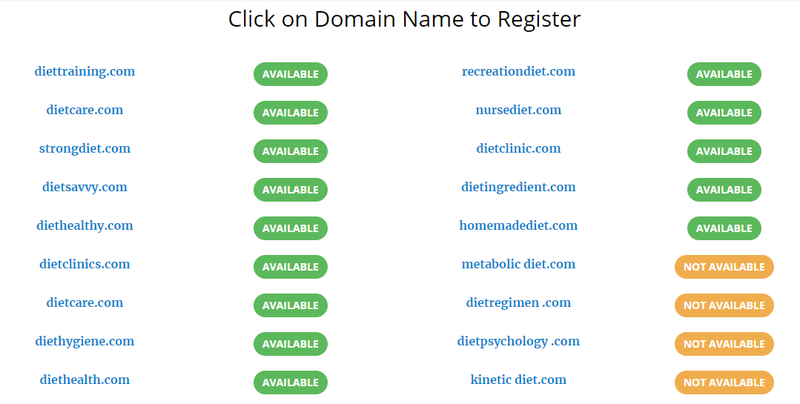 To see only the available domain names, you need to sign up on their website. FlameDomain is one of my favorite tools available in this list. The best part about FlameDomain is its ability to suggest domains based on various niches without you having to input a keyword. So, the end results aren’t limited to that keyword only and you get many generic brand names that sound great. There are tons of other features including premium domain (paid) that lets you find super cool brand names, often one word or less than 6-7 characters. However, the site seems to be down for a few weeks now and I personally hope that they’ll be back real soon. I have asked the matter with the support team and will update the post in near future. Update: FlameDomain was acquired by Udit Goenka and has since evolved into a more advanced domain management system. UI has also changed but still, it is easy to use and brand name generator works just fine. If you’re looking for a simple tool which can find the shortest available domain names, then this is what you been looking. Short Domain Search helps you find short domain names with no more than six characters long. You can select what kind of character to come in each position and based on it, the tool will search for random few letter domain names. It is the tool created by the same developer behind earlier mentioned Impossibility! tool. 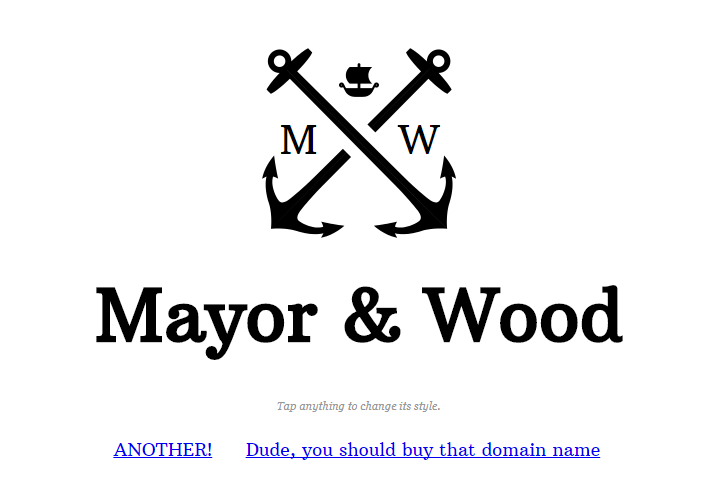 Domain Typer is probably the best looking business name generator in this list. Besides from suggesting some cool business names it also provides multiple interesting features. For instance, you can choose the extensions in which the tool should search for available domain names and also check the availability of usernames on various social media channels. If a domain is available to buy on an online auction, Domain Typer will color it as yellow and you can click on it to open the auction page and bid your prices. Also, it tries to find Domain Hacks which sometimes can give you shorter versions with a different extension. 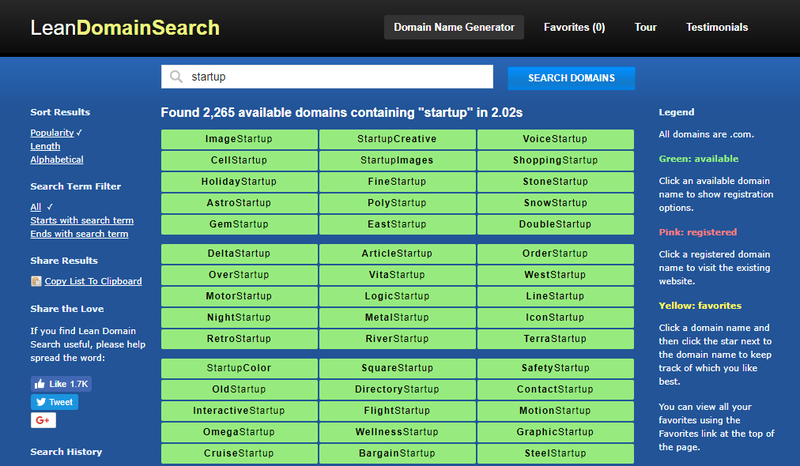 Instant Domain Search is an extremely simple and easy to use domain name generator. It searches for the availability of domain containing the exact matching keyword you entered and also suggests some rearranged domain names. 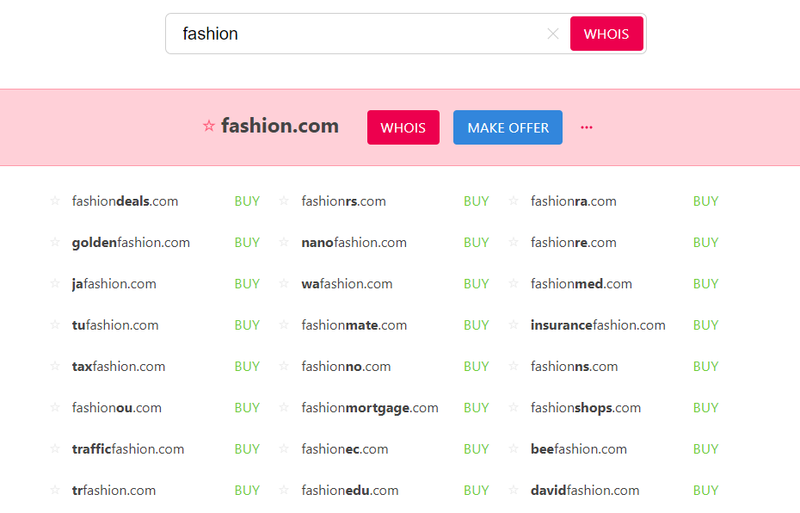 You also get a list of domains related to your query on sale in the rightmost column. By clicking on ‘See All’ option you can browse the specific list of suggestions. As the name speaks for itself, Cool Name Ideas is a Brand Name Generator that helps you find easy to pronounce and brandable domain names. You are required to provide few details based on which the tool will suggest you available domain names. The list of suggested domain names is in hundreds but you can always play with the available options and keep searching till you find an amazingly sounding domain name. Note that the tools also list out on sale domain names and ones which are already registered. So make sure to click on the domain name to see the exact availability. Wordoid is work like an actual droid searching the dictionary and internet to find creative domain names for you. There’s no option to enter your input keyword but you can play with options available such as Languages, Quality, and a maximum number of letters. Each time you click the ‘Create wordoid’ button, there will be a new set of interesting domain names with the availability status of .com and .net extension. Verisign Domain Scope is an advanced domain name suggestion tool and works by searching for available domains based on input data. It has an option to search using location which adds the places name with input keyword and searches for business name ideas, good for local business owners. Apart from just giving business name ideas, Domain Scope also lets you choose from recently expired domain names and domain with existing traffic. Although it takes a few minutes to get used to their user interface, if you get your hands on it, the end results could turn out to be pretty amazing. If you are after a short domain name with the mix of an extension that still expresses your brand meaning, Domainr is the perfect tool for you. 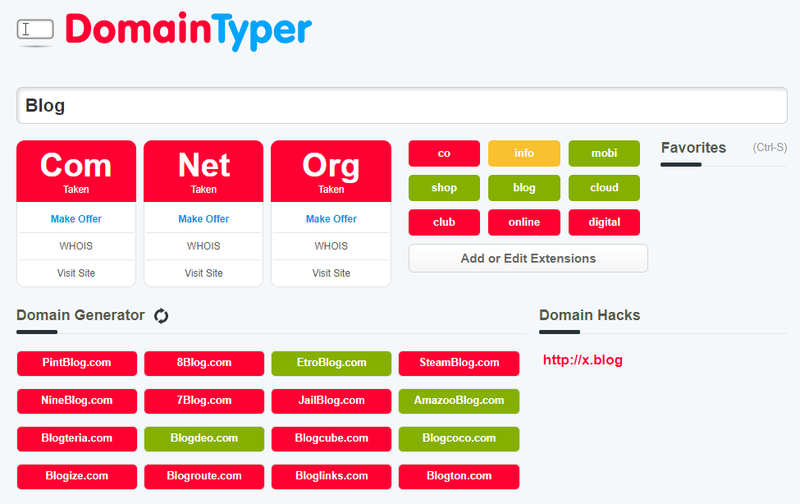 Domainr finds the shorter version for your input word in hundreds of different extensions and also tells if a domain is parked or on sale. This one might seem a bit stupid to you but for those who want an easy to remember brand in creative markets, it is a great tool. Instead of taking input from you and then generating results, the tool automatically appends two easy names with ampersand sign (&) with a nice logo. If you don’t like it, click on ‘Another’ button and the tool will keep generating the names in a similar pattern for eternity. 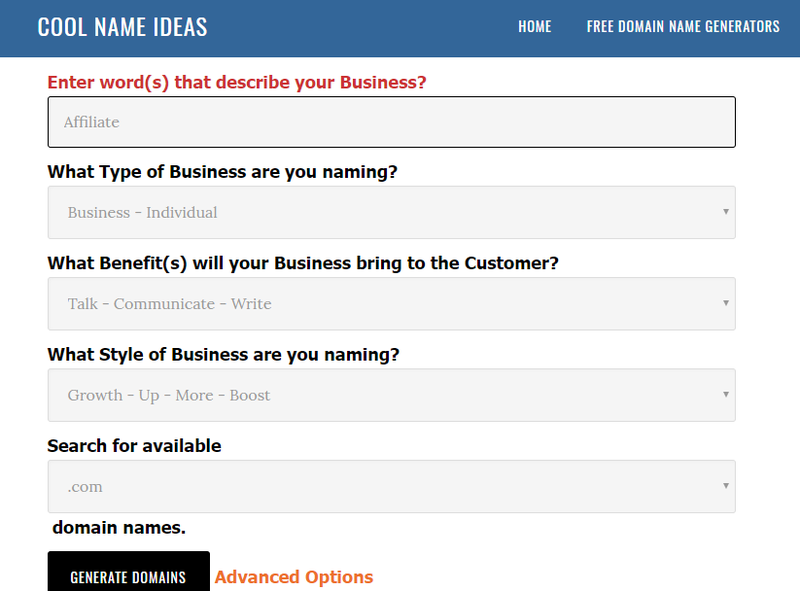 Technically it’s not a tool to generate business name ideas, but it can help you find some available names. When you search for a domain name which isn’t available, GoDaddy will try to find similar domain names and suggest you. By default, it searches in different extensions but if you select specific any specific extension(s), you can get better suggestions. Also, GoDaddy sometimes suggests auction domain names which are good enough to consider if the price isn’t a major limitation for you. It is a tool suggested by Andrew in the comments section. It is a great tool to find names for your niche sites and generates cool domain names. I don’t know if it’s a glitch, but some of the domains shown available aren’t actually available when checked. I’m confident that with the help of the above tools you will have at least one brand name in your mind. But, if that doesn’t happen, your dream domain name is probably the one being sold at a multi-figure price on a domain auction site. Either you can buy it or go back to the first tool and start regenerating business names. If you own a business name generator tool or know any amazing one that I missed, feel free to suggest me in the comments section below. Also, make sure you share this post with at least 3 of your friends and help them generate an amazing brand name for free. Thanks for the suggestion Tapeical. I’ll have a look into it. Hi Shafi, Nice Article. Thanks for sharing! Wow, Nice article i read its very useful and great keep up the good work.. I have come to your website for the first time but I feel that I have to come again and again. You have shared very good information. Your writing skill is Amazing. Thanks a lot, Akash. Being a blogger yourself, do you think there’s anything I can do to improve my blog? I’d be happy if you include it to your list. I want to hear your opinion. Glad I could help. Keep visiting, Nitin. I only know NameMesh and Domainbot. Brandroot is also a good brand name generator. After reading your post, some questions arouse in my mind, and I wanna ask here. Does domain extension matters for SEO. I have written a blog post on my blog which is ranking on page one for it’s focus keyword in India, but when I searched for that keyword using VPN from United States, it isn’t showing on page one. So, it think domain extension matters for SEO. The second question is, that the brand names suggest by the websites like brandroot are registered trademark or not. Can I start my own company with that name without buying anything from them. First Question – Theoretically domain extension should not matter for SEO and for Google they are the same. For people, it is easier to trust a .com domain and hence everyone recommend it. Regarding your experience, the country-specific extension does matter. Google show results depending on location and hence the changes you observed. Second Question – Domain name suggested by Brandroot are already registered and you can’t directly but it from another registrar. You’ve to buy it from Brandroot. Thanks for sharing a list of best brand name generator tools . I have used https://www.names4brands.com/ for my brand name creation, it was pleasant surprise for me. I got a catchy brand name. thanks names4brands. guys i suggest this best tool for you to get best names. Hi Shafi, Great info. Thanks for sharing! You’re welcome, Biswajit. Keep visiting for more. Pretty impressive list, I have tried few of them in the past but I guess I would want to check others soon. This article is really cool to find and generate the brand name for our business. I was aware of just 1 brand name generator but you have added another 22 suggestions in my list. Thank you for the useful information.